Once you’ve established your Twitter marketing plan and made a handful of Tweets, you’ll be ready to promote your Twitter account and start growing your audience. First, we’re going to focus on unpaid audience building. Afterwards, we’ll explore paid strategies, most notably Twitter Advertising. Aside from the following strategies, you should, above all else, focus on creating value for your audience. Share thoughtful ideas, start conversations and be consistent. As a resource and trusted voice, your audience will naturally grow. That said, there are still some steps you can take to accelerate that growth. Your first step should be to add the Twitter follow button to your website. Twitter users can click this button to follow you on Twitter without ever leaving your website. Simple, fast and a great way to learn who is visiting your website too. If you only have one Twitter username, including it in the Via field will ensure that it’s recommended to the user who sent the Tweet. Add an additional username in the Recommend field to provide a second recommendation. 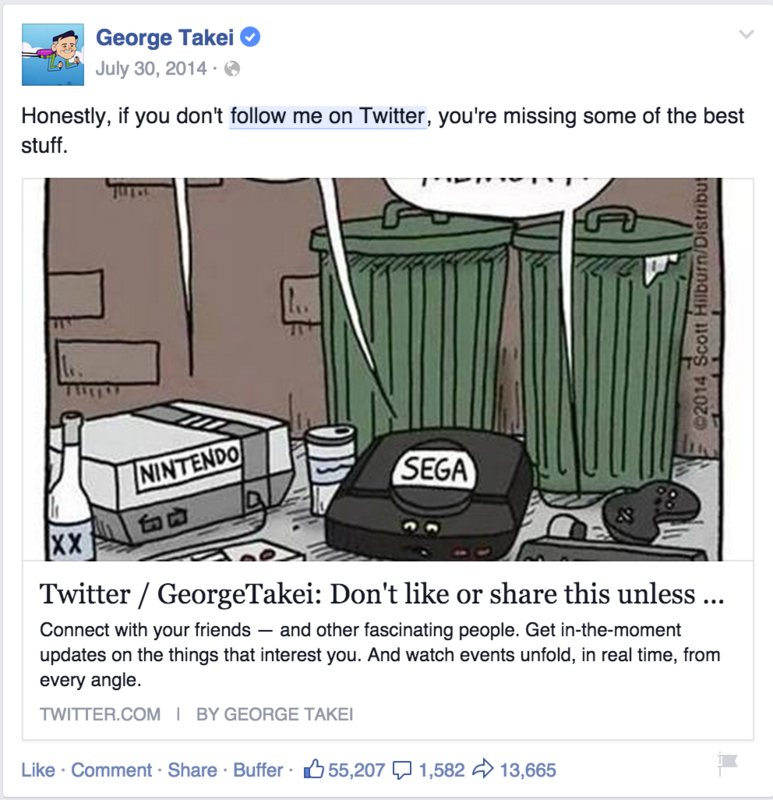 If you have a large following on Instagram, Facebook or Google+, share an update that lets your audience know about your Twitter account. In general, take any opportunity to link to your Twitter profile - business listings, local review sites, etc. This also includes author bylines for articles you write, forum profiles, forum signatures, and any other place you can get exposure. For direct emails sent from services like Gmail, WiseStamp can create professional email signatures with links to your social media networks. You can even have your latest Tweet automatically included in your email. Another way to grow your followers is to follow others. For example, you can use Followerwonk to find people with specific keywords in their bios, or who live in specific locations. Follow them and send them a friendly hello Tweet, or respond to one of their most recent Tweets. If they haven’t engaged with or followed your account after a week or two, you can unfollow them. You can see who has followed you by going to your profile, clicking on the number of people you are following, and looking for the Follows You notation. 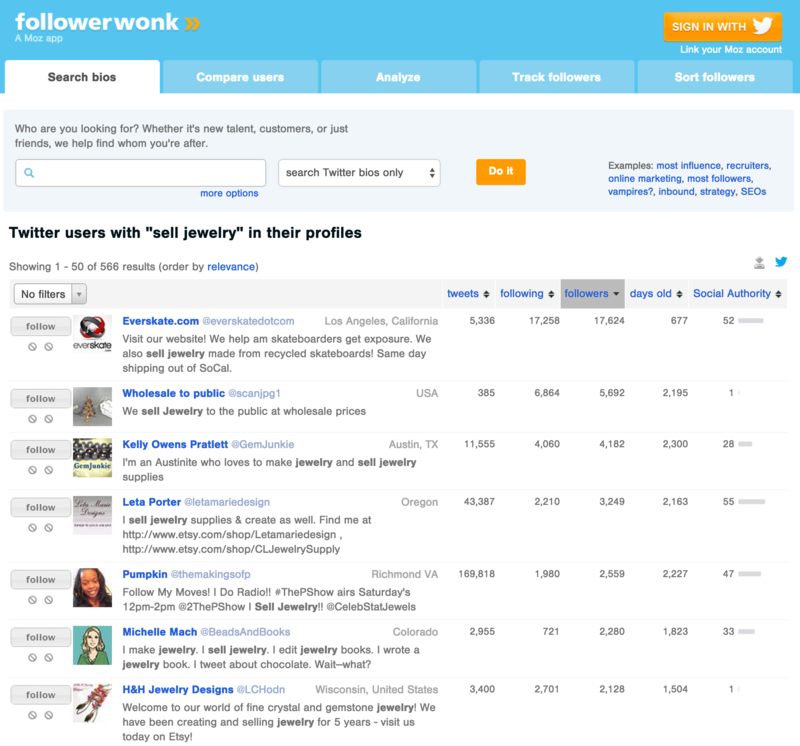 Tools like TwitNerd can simplify the process of finding people who are not following you. Commun.it is another valuable tool that can help you discover new customers to follow and engage with, as well as people you follow that do not engage with or follow you. In addition to using Twitter search tools like Followerwonk, you can also visit the profiles of people whose following would match your desired audience. A good place to start would be to look at your competitors’ audiences as well as industry influencers. The key to this strategy is to not overdo it; Twitter has specific rules about aggressive following and limits following based on follows-per-day and specific account ratios. You can learn more in documentation for Twitter limits and following rules. The best way to gain a Twitter following is to simply engage with others. If you’re regularly having conversations on Twitter with potential customers, partners, peers, and influencers, then you’ll naturally begin to build your audience. Remember those hashtags and influencers you took note of earlier. It’s time to start talking with them. Don’t try to sell someone your products or services during casual engagement. By being helpful in your interactions, people will naturally want to learn more about your business and will check out your profile to do so. One way to gain exposure for your business, grow your Twitter audience, and meet potential customers is through Twitter chats. These chats are organized through a hashtag used at a specific time. Many Twitter chats follow a Q&A format with a guest expert. The host of the Twitter chat will ask a question to an expert in their industry, and the expert will provide an answer. Anyone participating in the chat can also answer the question or discuss the answer posted by the expert. Fashion sellers can participate #StyleChat, makeup sellers can participate in #beautychat, and booksellers can participate in #bookchat. Just find chats that match your products, and you'll find chats in which your ideal customers are likely participating. 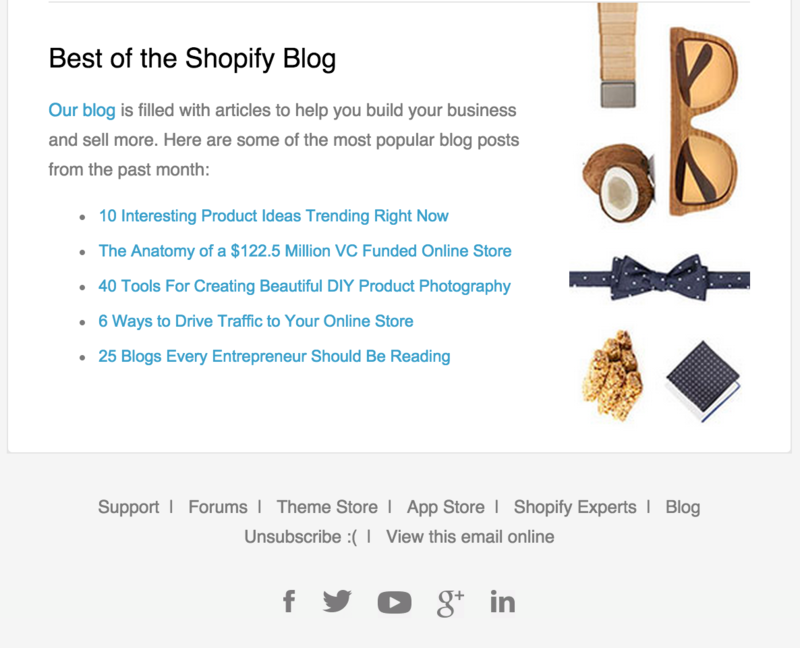 Better yet, you'll also find bloggers who might be open to reviewing your products. You can use Twitter itself, social media management tools like HootSuite, or tools like TweetChat to participate in a Twitter chat. TweetChat will simply allow you to concentrate on Tweets specific to the Twitter chat hashtag. It will also automatically append the hashtag to your Tweets and allow you to pause the flow of incoming Tweets so you can read and respond to them at your own pace. If you are a regular participant in specific Twitter chats, you'll likely find opportunities to promote your business. You should look for times where your products are the answer to someone's question. For example, someone in #beautychat may ask about natural makeup products. If you sell natural makeup products, you can chime in and promote yourself. Just don't throw in a promotion Tweet with a Twitter chat hashtag out of the blue. Choose a weekly, biweekly, or monthly date and time. Make sure that it doesn't conflict with another Twitter chat that your target audience will already be participating in. Better yet, make sure yours is right after so you can market it with a Tweet like "Hey #stylechat fans! Join #ourstylechat about fashion coming up in 10 minutes." Make sure you're a participant of #stylechat so your promotion doesn't seem as spammy. Create a dedicated page on your website that includes what the chat is about, a list of topics that will be covered, and what guests will be participating. This page should explain the basics of what a Twitter chat is, and how Twitter users can participate. It should also include a contact form for people who would like to join the chat as a guest, or businesses who would like to advertise during the chat (if you want to allow that). Reach out to well-known people and experts in your industry to schedule them to participate in your Twitter chat. Once they’re scheduled, make sure you send reminders a week prior, and then a day prior, to the chat to ensure they’re still onboard. Have backup participants in mind in case of emergency. Send a list of questions to your guest in advance so they have time to prepare thought out, meaningful answers. Send reminder Tweets about the chat to your Twitter followers. Cross post these reminders to your Facebook and Instagram audiences. Create a new blog post with a recap of your Twitter chat or update the announcement post with your recap of best Tweets, top participants, and other statistics. Introduce the guest and thank them for coming. Welcome chat participants after they Tweet the chat hashtag. Ask the main questions at a steady pace. Retweet your guest’s answers and good answers from participants. Retweet good questions and related comments from participants. Ask your guest follow-up questions as needed for clarification. Close by thanking your guest and letting participants know about the next Twitter chat topic and guest. For a boost in sales, you may also want to create a promotional offer for your products, such as a discount code that matches your Twitter chat hashtag that participants can use. Note that since a Twitter chat and its hashtag are public, anyone can jump into the conversation. This includes spammers who might be there to just promote themselves, their products, or spread unrelated information. You can Tweet spammers to let them know that their Tweets are not relevant to the chat - some may leave you alone, but others may be using automated tools and not notice.